Butterfly Bedding have been in nursery rooms across the world for as long as these beautiful winged creatures have captured our imaginations. Welcome to the Butterfly Crib Bedding section! These beautiful creatures are not only adorable but help to teach our children about how we change as we go through different stages of our lives. From caterpillar to cocoon to beautiful butterfly, these creatures are magical in the eyes of our children. So, if you have already viewed our Asian Baby Bedding styles and our stylish Shabby Chic Bedding Sets but want something a little more playful then you have come to the right section. 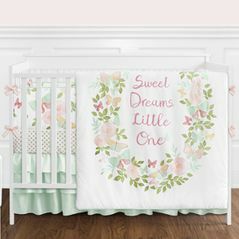 With bright pastel colors like pink and purple, pink and orange, and pink and green, you will be hard pressed to find a baby bedding crib set that can rival these unique bedding selections. 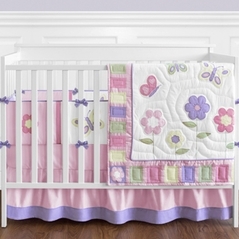 Color combinations like these do a wonderful job in bringing out the joy and wonder that accompanies having a butterfly crib bedding set. All of our quality butterfly crib bedding sets and nursery decor accessories will be sure to turn any babys room into a fun adventure for your child. And from cute butterfly bedding musical mobiles, changing pad covers, and the matching wall border, we are the one-stop-shop for all your nursery needs. 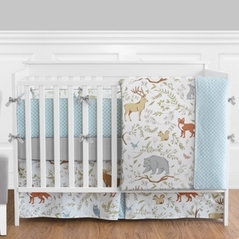 Because here at Beyond Bedding you are sure to find the best values from the leading baby bedding manufacturers such as Sweet Jojo Designs where quality is never sacrificed.